Ask any seasoned motorcyclist about their observations from behind the handlebars, and you will hear a somber tale of distracted motorists. Our roadways are filled with distracted drivers who are paying attention to everything, except driving. 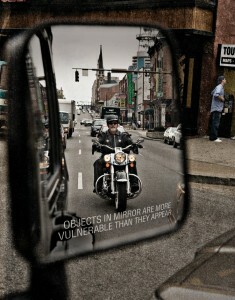 The motorcycle lawyers at Tenn And Tenn, P.A. in Manchester, NH have handled many motorcycle collisions this year. As motorcycle riders ourselves, we know first-hand both the joys and perils of motorcycling. The view from behind the handlebars of a motorcycle is both exhilarating and alarming. As a veteran motorcyclist, I ride in a state of hyper-alertness. 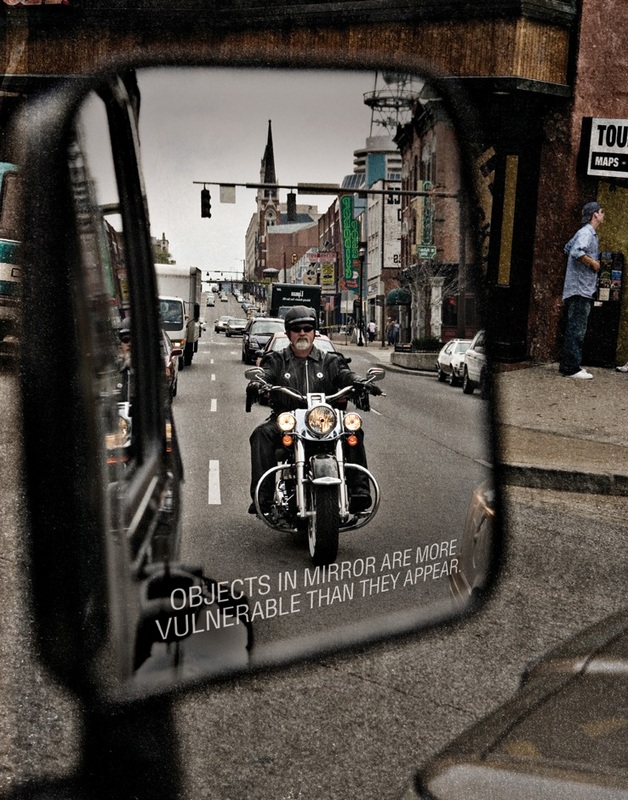 Constantly watching other drivers, inspecting roadway conditions, and attempting to anticipate unforeseen events, is a daily chore of a motorcycle rider. And what we see from behind the handlebars is scary: Drivers on cell phones-talking-texting-and emailing; Drivers turned backwards disciplining children in the back of the car; Drivers with a sandwich in one hand and a beverage in the other, while they guide their car with their knee. And, despite our best efforts to observe everything and react appropriately-in a split second-everything can change. As NH motorcycle injury lawyers, we have spent more than 20 years helping injured people. When an automobile strikes a motorcycle, the motorcycle rider often sustains serious bodily injury from either the impact, from striking the roadway, or both. Although it only takes a split second for a motorcycle collision to occur, the resulting damages and injuries my affect your life forever. The days and weeks following a serious motorcycle collision can be overwhelming for a motorcycle accident victim and their family. Property damage, medical bills, lost wages and dealing with the insurance companies often occur simultaneously with painful and often debilitating medical care and treatment. Our NH personal injury motorcycle lawyers are here to help. Out team can assist in managing the details of your claim so you can focus on your recovery. Lawyers who Ride are Ready to Help! The Motorcycle Accident Lawyers in NH have represented injured motorcycle accident victims for more than 20 years. We accept referrals from other local lawyers when their clients are injured and need our help. If a loved one has died, or you or a family member have been injured in a serious NH motorcycle accident, contact us today for a Free and Immediate consultation. Call us today at 603-624-0028.